I have just signed a contract with Palgrave MacMillan for a book entitled A History of Exorcism in Catholic Christianity, which will be part of the Palgrave Historical Studies in Witchcraft and Magic series. 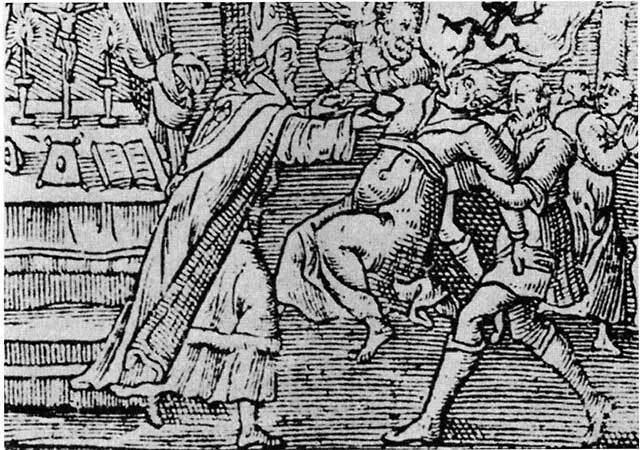 Although much historical attention has been paid to phenomena of demonic possession – especially in the early modern period – texts and practices of exorcism have been comparatively neglected, and no comprehensive history of exorcism from its early Christian beginnings to the twenty-first century exists. A History of Exorcism in Catholic Christianity addresses the development of the liturgy and practice of exorcism from the fourth century to the present day in Latin and Roman Catholic Christianity. The book will explore the origins of liturgical exorcism in rites of baptism, the development of priestly exorcism in the late Middle Ages, connections between exorcism and magic and the uses to which exorcism was put in the Catholic Counter-Reformation. It will also examine the application of exorcism in European colonies in the early modern period, the development of scepticism about the rite in the eighteenth century and the revival of exorcism in the nineteenth and twentieth centuries, before assessing the position of exorcism within the contemporary Catholic Church. This entry was posted on November 30, 2015 by jacobite.